Dell EMC’s channel chief and its top channel executives took to the virtual stage yesterday, and save for a few exceptions, asked its partner community to stay the course with the vendor’s global partner program. The more significant refinements mentioned during Dell EMC’s partner broadcast Feb. 6 included a further simplified market development funds (MDF) process, the addition of more products to the company’s rebate programs, and a reduction in the number of trained employees need to achieve Gold status. Joyce Mullen, president of global channels at Dell EMC, kicked the partner broadcast off by citing the latest predictions for the amount of data the world is expected to generate by 2020, and according to IDC, that number is 44 zettabytes (or 44 trillion gigabytes). This is the third anniversary of the Dell EMC Partner Program, and according to Mullen, partners were oh-so-close to helping the channel business reach the $50 billion milestone they had targeted last year. Over the past 12 months, partners helped the business grow by $6 billion, putting them at a total of $49 billion. Nevertheless, Mullen applauded partners for their efforts. “We were blown away by the growth in 2018,” she said, adding partners brought in a total of 15,000 new or reactivated customers. But she also acknowledged the fact that constant refinements to the partner program are needed, most of which are fueled by partner feedback. In addition to a revamped MDF Tool homepage, Dell EMC says it’s simplifying its MDF by moving to one Dell Technologies payment process. This means no more multiple payments for a single claim. Cheryl Cook, senior vice president of Global Partner Marketing, said MDF rates will also be aligned to product categories instead of having one rate for its Client Solutions Group and another for Infrastructure Solutions. “One of the things we know, mostly outside of the U.S., is the complexity of dual entities. I’m delighted to announce that we’re moving to a single entity payment for reconciliation and simplifying and speeding up your payment process with MDF moving forward,” said Cook. 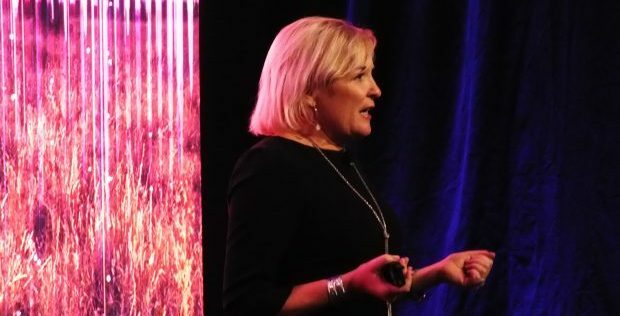 She also repeated an announcement from December that the Dell EMC Test Drive program – designed to increase sales closure rates – is expanding beyond VxRail to PowerMax, Unity, Isilon, IDPA DP4400, and X2. Product giveaways have also been raised to $750 USD, but this applies to Dell products only. In order to enable partners, especially smaller ones, to reap benefits of the partner program incentives faster, Dell EMC is reducing the number of individuals needed to complete the training to reach the Gold tier, the level above Authorized. The company also introduced a Data Analytics Solutions Competency through its Partner Academy training program, tying back to Mullen’s message earlier in the broadcast about the incoming tsunami wave of data.